The rumors are true! After much speculation about where Meghan Markle and Prince Harry will live, Kensington Palace confirmed on Saturday that the couple will indeed be moving away from the estate. 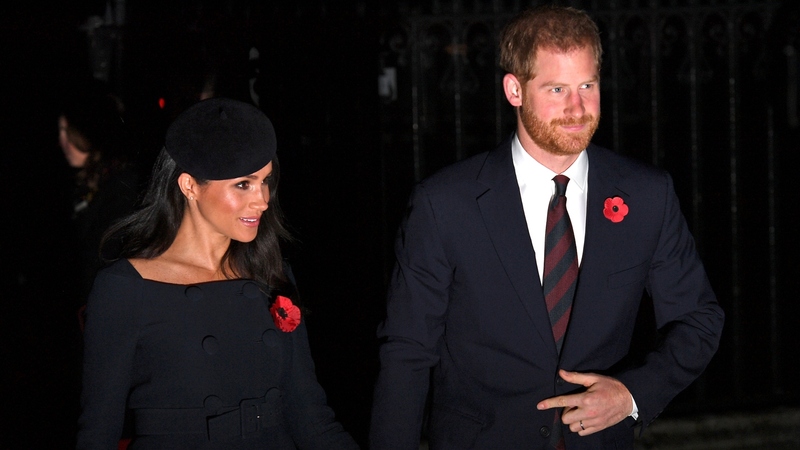 The couple, who are expecting their baby sometime in the spring, currently reside at Kensington Palace in the two-bedroom Nottingham Cottage. Frogmore, which is 20 miles away from their current digs, boasts 10 bedrooms and a separate nursery. So, what do we know about Frogmore Cottage? For starters, it does have sentimental value to Markle and Harry — it’s where their engagement photos were taken and where their private evening wedding reception was held. Exclusive: Harry & Meghan are moving out of Kensington Palace next year. They’ve been given a new house by the Queen and it will be their official residence. It’s currently undergoing a large refurbishment to turn it back from staff accommodation to a family home. The Telegraph reported that the home is being renovated to include modern amenities such as a gym and yoga studio. As it is, ITV described Frogmore Cottage as a “Grade II listed two-story, stucco-faced house sitting in the north of the Frogmore Estate on the Windsor Estate.” Its use as a royal residence dates back to 1792, although the house was built from 1680 to 1684 by architect Hugh May. Fun fact: The cottage gets its amphibian-inspired moniker from the prevalence of frogs living in the low-lying marshy area along the River Thames (where the estate is situated), per ITV. More: Prince Harry & Meghan Markle Won’t Have Custody of Their Future Children — Um, What?! Although it has been suggested frequently that Markle and Harry would move into the apartment adjacent to Prince William and Kate Middleton’s at Kensington Palace, Andrews pointed out that, although that apartment is opening up, the Duke and Duchess of Sussex simply decided to go in a different direction, quite literally. The 20-room Apartment 1 at Kensington Palace, next door to William & Kate’s apartment at 1a, will become available next year as the Duke & Duchess of Gloucester are moving to a smaller part of KP. But Harry & Meghan have chosen not to move there. Rumors of tension between Harry and William have been on the rise lately, with many publications pointing to the possibility of Harry leaving Kensington Palace grounds. However, Harry, William and their wives have continued to spend time together recently and appear to be getting along properly. The good princes are more likely just preparing for the inevitability of increased time apart as their own families continue to grow and take precedence in their lives.